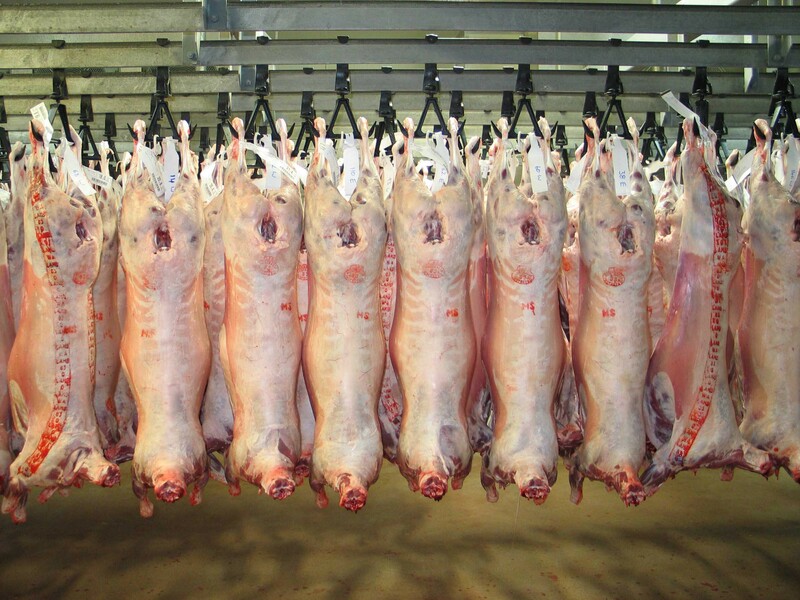 Why is the EU Acting Like a Meat Wholesaler? For a long time I was on the board of an unlisted public company that wholesaled meat. The Chairman had a very simple attitude to debt collection. If someone owed us $20,000 then he would spend $50,000 trying to get it back. That may not seem to make economic sense but it made sense when you think of debtors as a network. He simply wanted to send a message that we were not to be screwed with, and that we would chase you to the end of the earth. In the meat industry if you got even a whiff of a reputation that you would not collect your debts then people very quickly stop paying you. This very simple strategy worked very well. On annual turnover of $80-$100 million a year we very rarely had bad debts in total over $25,000 and there were years where we had none at all. This strategy seems to be echoed in the approach the EU is now taking to Greece. I have done quite a bit of reading and thinking about the issue over the last week or so as understanding geopolitical and economic risk is important to my work as a futurist. I am going to use some of the details in a workshop on uncertainty that I am running later in the month. One standout feature seems to be that the EU is concerned that if they go soft on Greece then Spain. 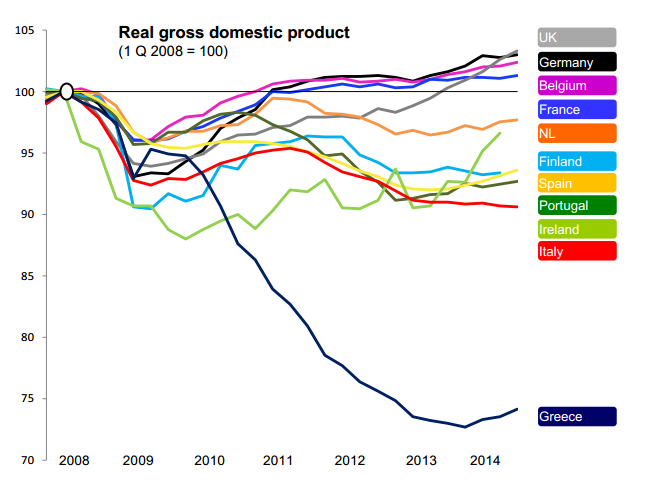 Portugal, Italy and others may feel emboldened not to pay back some of their debt and the problem will spread. However the story is much more complex than that and the details are an object lesson in the fact that social, political and economic issues are intertwined in these sorts of issues, often at a very personal level of the decision makers. They also demonstrate that once stories are embedded in the collective consciousness they are hard to shift. The first rule of politics is that it is always easier to convince people of something they already believe. 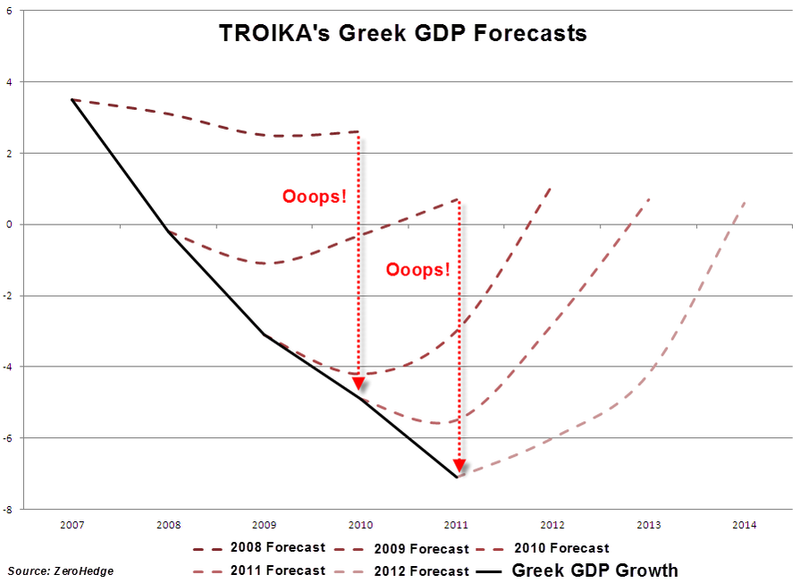 I am writing this as the Greek referendum is taking place and I think it is worth putting some of the facts on the table. It is easy to see from these graphs and the reality of unemployment and economic depression why the general person in the street in Greece might be disillusioned at the moment. If I was a Greek voter right now I would be inclined to vote against the proposal to agree to the new lending and austerity measures because I think there is still a path of negotiation via that route. My concern about the opposite vote is that we will see significant political disintegration in Greece that will feed into radical political movements and that the long term future of the EU will be threatened both from without and within. Beyond the financial implications of being “soft” on Greek debt I think that there is a large piece of decision making that is occurring here because of personal political considerations and entrenched positions of bias. That is always a poor environment for clear decision making and timely reminder when we try to analyse these issues we must always ask the question of a story that is being told : “who benefits from the story being told now or in this way? I would encourage people to point out where they think the information I have provided here is incorrect or presented in a biased way. We are all better off when we see issues from multiple points of view. ← What Happens When all the Friction has Gone?